French consumer fraud group DGCCRF, part of the country's economy ministry, last week launched a preliminary investigation into Apple over "alleged deception" and "planned obsolescence" of Apple products, reports Reuters. The investigation follows Apple's admission that it slows down some older iPhones with degraded batteries during times of peak power usage in order to prevent unexpected shutdowns. Apple introduced the power management feature in iOS 10.2.1 following complaints of unexpected shutdowns in the iPhone 6s, but Apple did not make it clear to consumers that it was due to battery deterioration nor did Apple inform customers that it could cause occasional performance slowdowns. 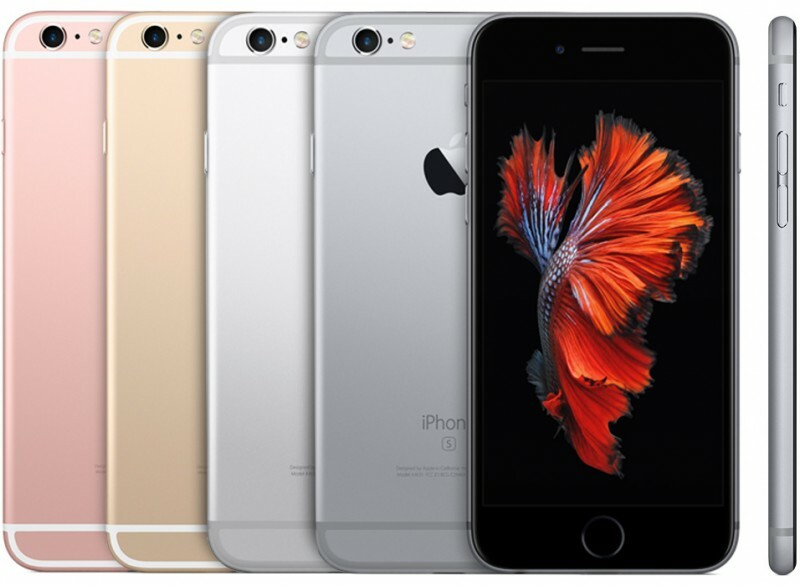 Apple has since apologized for its lack of communication and introduced a new policy that allows iPhone 6, 6 Plus, 6s, 6s Plus, 7, 7 Plus, and SE owners to receive a one-time no-questions-asked $29 battery replacement for their devices, as a device with a depleted battery that is affected by throttling will return to normal performance with a battery replacement. Despite Apple's efforts to correct the issue, in addition to the French inquiry, the company is now facing more than two dozen lawsuits accusing it of intentionally slowing down older iPhones and failing to disclose the changes that it introduced in iOS 10.2.1. One of those lawsuits also stems from France, filed by French consumer group "HOP," which translates to "Stop Planned Obsolescence." The French watchdog's investigation could take months to complete, and based on the findings, the issue could be escalated to a judge for a more in-depth inquiry or dropped all together. If Apple is found guilty of planned obsolescence in France, the punishment could be a fine of up to five percent of its annual sales. Apple is most definitely guilty of planned obsolescence. That actually is a far greater problem than their lies and deceit about the battery life. Soldered RAM, non-removable batteries, etc? That's disgusting. HOWEVER, to be fair, plenty of other companies are guilty of planned obsolescence as well. Each one of these scumbag companies needs to be taken to the cleaners over it. For the good of the company in the long term and us the consumers, I hope they get hit hard, otherwise they'll never change. some folks just don't get what happened here. Communication would have prevented all this. Apple wouldn't have apologized and offered $29 battery replacements if something wrong didn't happen. I am an Apple loyalist, a business customer, a decades long repeat consumer and a shareholder. I despise prosecutorial abuses and opportunistic lawyers who look for an opening to take advantage. That said, I also last week experienced what is like to try to get the battery replaced at an Apple store. There was inefficiency, there was arrogance from management, there was massive inconveniencing a customer. They expected 3 visits to the store and long waits (plus the $29) to replace a simple battery on a phone. While sometimes things get blown out of proportion, even a relatively decent and successful company like Apple needs balance and checks. Be these regulation or legal challenges. This issue is going to be very costly to them. Batteries, PR, possibly some lost sales. I am hopeful the lesson will result in improved transparency and a simplification of a simple battery replacement process. That would be fine if consumers didn’t constantly want thinner, lighter, sexier devices that are waterproof. And before you say they don’t - they totally do. One of the big reasons people buy Apple devices is their longevity. Apple knows this. Planned obsolence is a quick way for them to start loosing money. All these issues are the consequence of the market, a comprise they make while trying to compete with other, similar companies, with Pixels and Galaxies, not some malicious plan to get you to upgrade. In fact, people are more likely to upgrade if they are happy with their previous phone. If that phone runs like crap, you probably wouldn’t be willing to pay a lot of money for the next one. Personally, sure, I would love to be able to replace the battery myself, but this iPhone would probably have a design that most people here would call boring, me included. We pressure all these companies to bring us tiny bezels and incredible performance and amazing cameras but we also hate creaky, plastic devices that can be opened or repaired easily. Based on videos of iPhone speed tests between OSs (and personal experience) it's pretty obvious that the phones suffer from excessive slowdowns over time. Yes. Has nothing to do with planned obsolescence. iOS 9 has a lot more going on than iOS 7. Background processes allowing Siri Intelligence, widgets, machine learning, etc. We want iOS to keep pushing forward and at the same time we’re surprised when 3 year old hardware doesn’t run it just as good. Apple is, actually, really good with longevity. My old 6S came with iOS 9 and worked great. Years later, it’s on iOS 11 and the performance is still good. It will be very capable for 3 years. With next iOS it will probably start to lag, but still work. That’s 4 years of it being usable. I agree that something wrong happened. Im just telling you that batteries die and its a natural process. They should of had some sort of battery health indicator that said battery is dying, time to replace but they would've got a class action launched for that as well saying it's too early and they are trying to increase battery sales. Batteries should last longer than Apple is quoting etc. When you're on the top, people want to take you down no matter what. The phones are DEFECTIVE. I had a PASSING BATTERY that was NOT AGED and my 6S would shut off. This whole thing is a coverup. It doesn’t matter how new your battery is or even if it’s charging and plugged into the wall, still throttled. It was done to fix the faulty CPU’s drawing from the battery. This is why they will lose. Apple IS going to lose billions, and billions, and billions when they begin losing each and every single one of these lawsuits. Free iPhones or refunded money for most of Europe - their laws favor the consumer, it’s nothing like America. Though they will lose the US lawsuits as well. More like planned cash grab. Apple is so big that there really was no way to announce this without it melting down. I agree there might have been a better way to do it but I guarantee you it would also have been fought with fire.